Losing a wallet would ruin anyone’s day, and it could happen to any of us. But a Makakilo woman said what happened to her last week proves there are still good people out there. Shayna Keliiholokai told KHON2 her faith in humanity has been restored. She and her family had just finished grocery shopping at the Kapolei Walmart Friday night and were headed to Longs Drugs next. Keliiholokai realized she didn’t have her wallet about 30 minutes later when she was about to make another purchase. They went back to Walmart but the wallet was gone. 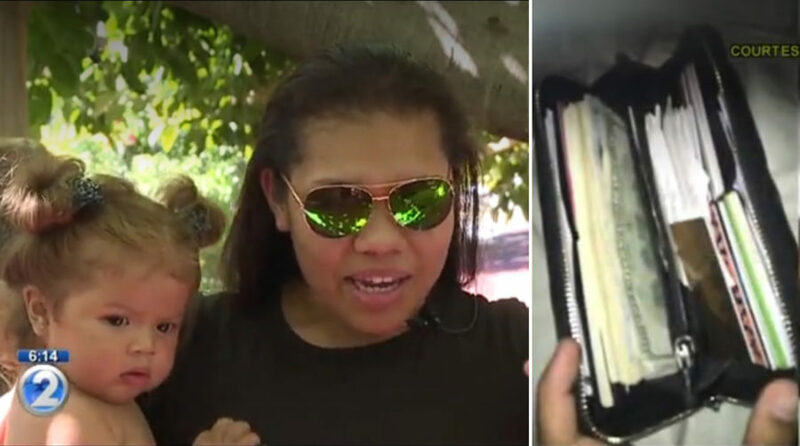 Keliiholokai’s ID, medical cards for her kids, and $1,600 in cash were inside. The night took an unexpected turn when a woman messaged Keliiholokai on Facebook saying she found the wallet and was trying to return it. They met up shortly after, and everything inside was exactly how Keliiholokai left it. It’s an act of kindness Keliiholokai says she’ll be forever grateful for and she plans to pay it forward. Keliiholokai said the woman’s son is the one who told his mom he found a wallet. She and the woman exchanged information and she plans to send them a gift soon.